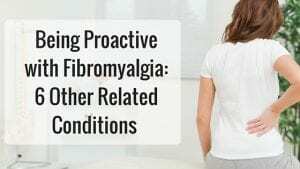 Being Proactive with Fibromyalgia: 6 Other Related Conditions - Piedmont Physical Medicine & Rehabilitation, P.A. From our previous two blog posts, we have learned that fibromyalgia is difficult condition to live with or to find treatment for. If you’ve been diagnosed, you know better than anyone as to what the pain, aches, frustration and anxiety actually mean. It can be a challenge explaining your condition to others because they don’t completely understand it, but we do. At times, you may feel a little lost and alone, but at Piedmont Physical Medication and Rehabilitation, we want you to know that there is always hope. We have the treatments available to ease your pain and regain your life back. We also want you to be informed of every facet of your condition. 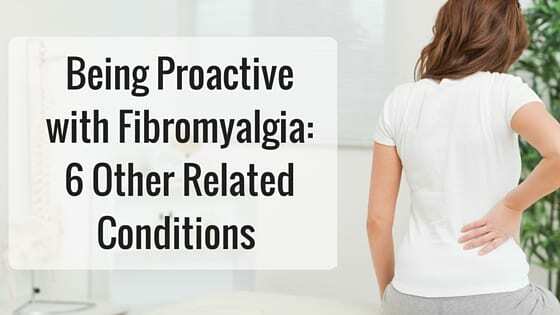 Being proactive with fibromyalgia can save you a lot of trouble and a lot of worry. Fibromyalgia can be triggered by an injury, but most cases it is not associated with an individual event; rather, it arises insidiously – we call this “Total Load”. Over time the total number of things ailing you eventually becomes too burdensome for your body to deal with and aches and pains can develop. Stress, lack of sleep, and trauma can all contribute to the development of fibromyalgia. Fibromyalgia has a tendency to display symptoms of auto-immune diseases, when in actuality it’s not one. While many patients however carry what doctors call “low levels for autoimmune titers,” their numbers are just not high enough to give them an auto-immune diagnosis. An auto-immune disease occurs when a defective immune system mistakenly attacks its own body’s healthy tissue, which produces inflammation and damage. Auto-immune diseases include rheumatoid arthritis (RA), lupus and ankylosing spondylitis. Auto-immune diseases can affect fibromyalgia, so it’s important to be examined for more than just fibromyalgia. You may experience a range of symptoms, including fatigue, fever, general ill feelings, or changes to your skin color. Be aware of your body and the new changes it goes through if you have fibromyalgia. Many patients with fibromyalgia have “loose ligaments.” They may not be double jointed, and usually cannot get themselves inside a box (like someone you might find at the circus), but they still have loose ligaments nonetheless. 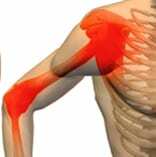 If ligaments are too loose then may stretch or fray; joints can move and muscles may go into spasm, which is what causes aches and pains. Lyme disease is a serious infection primarily transmitted by lxodes ticks, also known as deer ticks or black-legged ticks. It can affect any organ of the body, including the brain, nervous system, muscles and joints, and the heart. When the spirochete infection (called Borrelia) releases bacterial lipoproteins (BLPs) and attack the body, it can lead to memory problems, hormonal imbalances, neurological pain, inflammation, gastrointestinal discomfort and numbness. Another difficult to diagnose infection is from something called Mycoplasma. These pesky critters can hide and live in your soft tissues for decades and then surprise you one day. When that happens, your body can hurt for what seems like no apparent reason. As you can see, the symptoms of Lyme disease and mycoplasma infection mimic the ones of fibromyalgia. 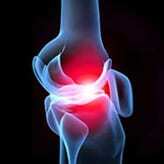 And it is believed that in some cases these infections may actually cause fibromyalgia. Symptoms from chronic infection can remain dormant for years, so it is important to get a complete diagnosis at any time you start to display symptoms. The autonomic nervous system is responsible for functions that are supposed to happen in your body automatically. For example, you don’t tell your heart to beat, the bowel of your bladder to empty, your pupils to dilate or your skin to contract or swell with the weather. If this system is not working right, you may experience difficulty with all of these things and experience weather sensitive pain. Many fibromyalgia patients have symptoms of dysautonomia so it is very important to be evaluated by a physician familiar with this disorder. If there is inflammation, hidden infection or even dysautonmia it is easy to understand why someone would accumulate total load over time. It can get bad enough that even food intolerances may develop as well. Approximately one-third of fibromyalgia patients are sensitive to particular foods – this could be a sensitivity geared toward MSG, certain preservatives, gluten, dairy, eggs or other common allergens. Eating a particular food can cause gastrointestinal problems (heartburn, gas, nausea, diarrhea or constipation) as well as headaches, muscle pain or fatigue. While fibromyalgia might not always bring the best of news, it can force you to become more aware of your body and your health in a positive way. You’ll start to recognize things you didn’t notice before and be more in-tune with your body if any changes should arise. If you display a new symptom, or if you feel as if your health is slightly “off,” there might be another underlying issue at hand, so it’s best to have it examined. The good news is that when you start to understand why you have fibromyalgia symptoms all you have to do is find a doctor versed in the condition. While it does not happen overnight, by working together with your physician treatment can be effective and quality of life can improve.